On a gloomy day in February, Jim sends his wife Annie out to do the shopping before dark falls. He seals their meagre apartment, unhooks the gas tube inside the oven, and inhales. Sister St. Saviour, a Little Nursing Sister of the Sick Poor, catches the scent of fire doused with water and hurries to the scene: firemen, a gathered crowd and a distraught young widow, who is with child. Moved by Annie’s plight, the kindly nun finds her work in the convent’s laundry, and Annie’s baby daughter grows up amidst the crank of the wringer, the hiss of the iron, the reminiscences of Sister Illuminata and the games of Sister Jeanne. Yet what will become of this convent child? Will Sally join the women who raised her in their unending efforts to alleviate Brooklyn’s poverty and sickness? 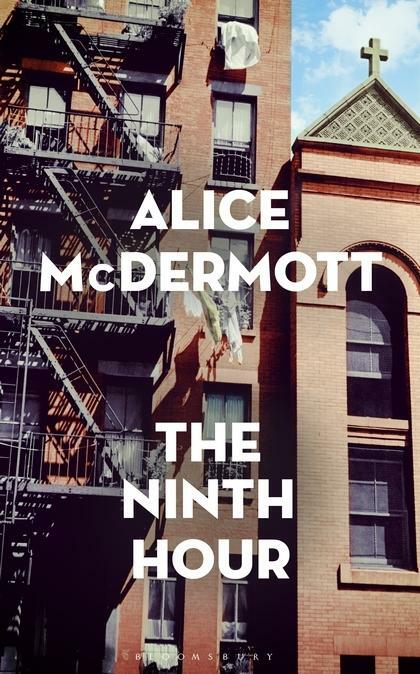 Tracing three generations of an Irish immigrant family, The Ninth Hour tells, in prose of startling radiance and piercing precision, a story that is both individual and universal in its understanding of the human condition. Meditating on fairness, faith, sacrifice, duty and love, it illuminates, with the depth and sensitivity for which Alice McDermott is known, the bonds that unite or divide us. This review is going to be difficult to write, because The Ninth Hour is so masterful, so charming, so delightful, it’s going to be hard to do it justice. I want to gush, but gushing is clumsy and knock-kneed, and this book is so opposite-of-that. Alice McDermott is a National Book Award-winning author, and her latest book starts off with the suicide of a young, soon-to-be-father. He persuades his heavily pregnant wife to set off to the shops before it gets dark, then stops all the gaps under doors and windows with towels, unhooks the gas tube from the oven and brings it into the bedroom, then arranges himself comfortably on the marital bed. You’d expect a book that starts off with such a grim premise to be heavy, but it’s a tribute to the author that it manages, even from page one, to have a lightness of touch. Set in Brooklyn sometime in the forties or fifties, the book follows the story of the young widow Annie, and her baby Sally, who are taken under the wings (and habits) of the nuns of The Little Nursing Sisters of the Sick Poor after Annie’s husband’s body is discovered by Sister St Savior. Feeling sorry for the young widow (and now-single mum), they arrange for her to work in the convent laundry with crotchety Sister Illuminata, while little baby Sally plays at their feet. The years pass by, and Sally grows from baby to toddler to girl to adolescent, under the watchful and utterly loving eye of the nuns. Annie too, finds deep friendship among the nuns and the various inhabitants of their neighbourhood. There’s something of Ann Patchett in Alice McDermott’s writing, with a touch of Colm Toibin’s Brooklyn thrown in. This is a delight from start to finish, and I can’t recommend it highly enough. Gabrielle Williams works as a bookseller at Readings Malvern. She is also the author of books for young adults.